As many of you may know Bright Stores and our newest platform, bright sites offer a Credit Card Gateway Integration. Our Company stores offer many choices of service providers to choose from that work with our system, including Authorize.net, Pay Flow Pro and Sage. Bright sites offers Authorize.net as an option. While working with clients on setting up their Credit Card Gateways, I have discovered a few helpful hints to assist you along the way. We want to help you successfully set up your Credit Card Gateway allowing your store to run smoothly. 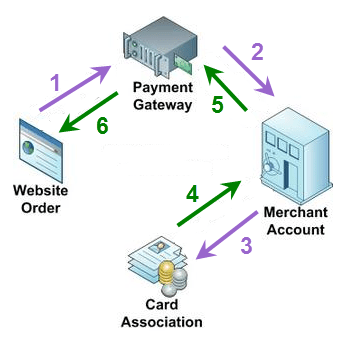 First you will want to set up a Merchant account with your Gateway provider. If you are allowing International shipping in your store, please advise your service provider to allow International billing addresses, as it is not uncommon for them to deny a credit card because they do not recognize the zip code or country. Your Login ID and Password are NOT the same as your sign in to your account on the website of your service provider. They are a unique ID and transaction key, you will need to request once you have created a user account with your Gateway service provider. Once you have successfully created a Login ID and Transaction key, please view the how to video link here. If you have any questions or would like us to walk you through entering in your Credit Card gateway information, please feel free to give us a call at 800-466-5930 x2. We are always happy to help. If you are interested in speaking to someone about adding the Credit Card Gateway Integration to your stores, please contact us at 800-466-5930.